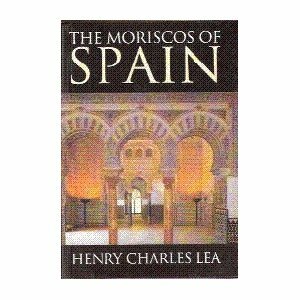 Moriscos (môris'koz) [Span.,=Moorish], Moors converted to Christianity after the Christian reconquest (11th–15th cent.) of Spain. The Moors who had become subjects of Christian kings as the reconquest progressed to the 15th cent. were called Mudéjares. They remained Muslim, and their religion and customs were generally respected. After the fall of Granada (1492), Cardinal Jiménez converted many Moors by peaceful means. However, the rigorous treatment of those who refused conversion or apostatized from the new faith led to an uprising (1500–1502) in Granada. This was soon suppressed. Faced with choosing between conversion or banishment, the majority accepted conversion, but many continued secretly to practice Islam. The Moriscos at times provided the Ottoman Turks with information facilitating Turkish raids on the Spanish coast. Persecuted by the Spanish Inquisition and subjected to restrictive legislation (1526, 1527), the Moriscos rose in a bloody rebellion (1568–71), which Philip II put down with the help of John of Austria. The Moriscos prospered in spite of persecutions and furthered Spanish agriculture, trade, and industries. However, in 1609 Philip III, influenced by Lerma, decreed their expulsion for both religious and political reasons.